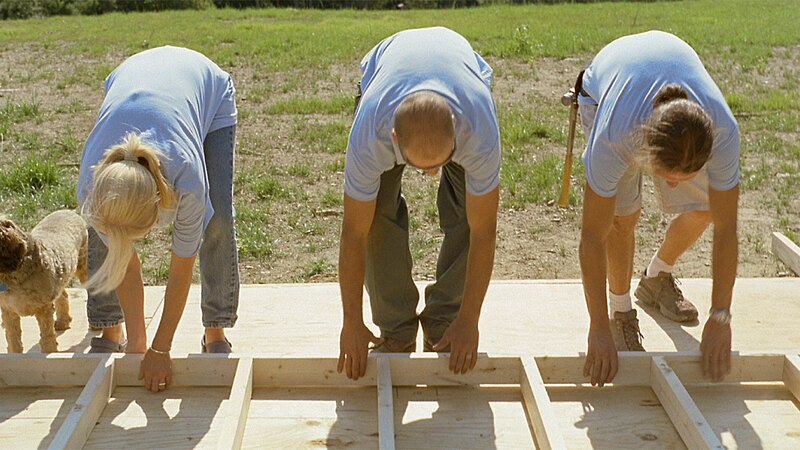 Uhlig employees provide to charitable organizations in our community throughout the year. We believe that it is our privilege and obligation as a company to participate directly in making our community a safer, fairer, more humane and more supportive place to live. We also believe that, when we commit ourselves to helping others, everyone who works at Uhlig gains deeper understanding and compassion that makes us better employees, parents, family members, friends, citizens and neighbors. The Harvesters Community Food Network is a regional food bank that supports more than 620 nonprofit organizations, pantries, community kitchens and homeless shelters (above). 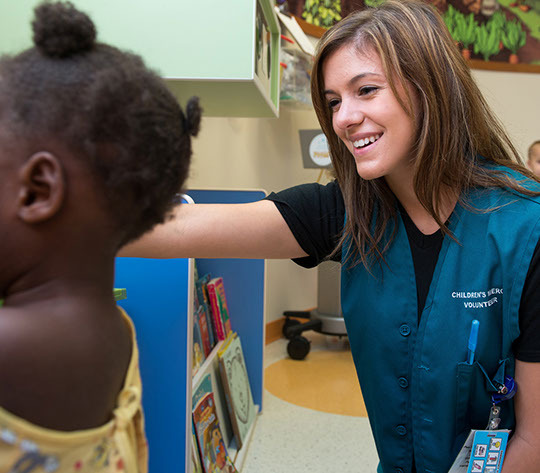 Children’s Mercy Hospitals and Clinics is one of the many worthy charitable and nonprofit organizations that benefit from the time and skills of Uhlig employees through company-sponsored programs (above). supportive. and nonprofit organizations that need their help. thousands of dollars in support. Beyond the value to its recipients, moreover, we know that this kind of contribution enriches the givers’ lives – and our company – in ways that cannot be measured. A list of some of the organizations that we currently support appears below. Alex’s Lemonade Stand Foundation is a nationwide educational and fundraising organization dedicated to eradicating childhood cancer, in honor of its founder, Alexandra Flynn “Alex” Scott, who died of neuroblastoma in 2004 at the age of 8. Since 2000, the organization has raised more than $80 million for research, education, and support for patients and their families. Founded in 1964, Big Brothers Big Sisters of Greater Kansas City has served more than 20,000 at-risk youth in the Kansas City metropolitan area, providing children facing adversity with strong, enduring and professionally supported one-to-one relationships that change their lives for the better. Focusing on potential rather than limitations, the Children’s Center for the Visually Impaired provides comprehensive, individualized services to prepare children with visual impairments, including those with multiple disabilities, to reach their highest potential in the sighted world. Consistently ranked as one of the best children’s hospitals in the United States, Children’s Mercy provides comprehensive care for patients from birth to age 21 in more than 40 pediatric specialties ranging from cancer care to nephrology. With a medical staff of more than 700 pediatric specialists, Children’s Mercy is also a leader in medical research, with more than 140 clinical trials underway at any one time, and has the largest clinical pharmacology program in North America for studying the safety of new medications for use by children. 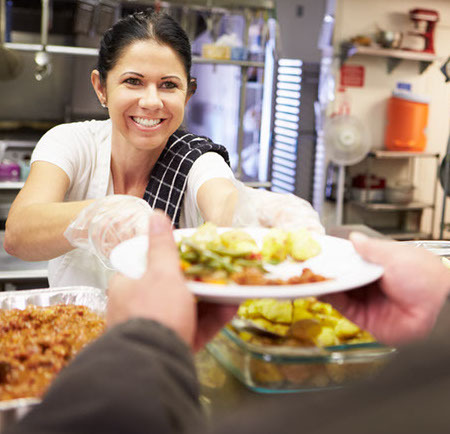 Cross-Lines Community Outreach provides a daily source of assistance, including hunger relief and emergency assistance, for at-risk families, the elderly and individuals. In a recent year, Cross-Lines provided 17,214 weekday breakfasts, 43,679 hot lunches, and emergency food pantry assistance for 2,848 households, including 2,857 children. Habitat for Humanity Kansas City assists families in need of a decent, safe and affordable place to live by building and repairing houses using volunteer labor and donations. As the seventh&dash;oldest affiliate of Habitat for Humanity International, Habitat Kansas City works to fulfill the dream of home ownership for low-income families in the greater Kansas City metropolitan area. Harvesters is a regional food bank that provides food and related household products to more than 620 not-for-profit agencies including emergency food pantries, community kitchens, homeless shelters, children’s homes and others. Serving a 26-county area of northwest Missouri and northeastern Kansas, Harvesters also offers education programs to increase community awareness of hunger and teach about good nutrition. KidsTLC provides children with a continuum of care through psychiatric treatment, community outreach, outpatient behavioral health, autism and wellness programs. Services are focused on evidence-based therapies and trauma-informed care, with a strong emphasis on family wellness and preserving the family unit. Literacy Kansas City’s mission is to advance literacy among Kansas City area adults through direct services, advocacy and collaboration. Founded in 1985, the organization certifies volunteers and tutors and matches them with adult learners from across the Kansas City metropolitan area. The Love Fund for Children works to ensure that children in Kansas City and surrounding communities have what they need to learn, live and grow. The Love Fund raises and distributes funds for goods and services to help alleviate the concern, expense and worry of families experiencing financial difficulty or adapting to the demands of life with a special needs child. Operation Breakthrough helps children who are living in poverty develop to their fullest potential by providing them a safe, loving and educational environment. Ozanam is a multi-service treatment center offering both residential and educational day treatment programs that address the behavioral, emotional, social and spiritual needs of boys and girls ages 12 to 18. Located on a 96-acre campus in south Kansas City, Ozanam is committed to helping kids and their families regain control of their lives and rebuild healthy relationships with each other and their community. Safehome provides counseling and services to help victims of domestic violence and their children heal emotionally and physically, find employment and housing, and successfully transition to emotional and financial independence. Safehome also provides community education, prevention, and legal services. Founded in 1974 as the first agency to provide specialized education and support to individuals with autism in the Kansas City area, Sherwood Center provides high-quality services to both children and adults with autism spectrum disorder and a wide range of developmental disabilities. The Humane Society of Greater Kansas City is one of the oldest humane societies in the United States, and was the first no-kill animal shelter in the Kansas City area. Founded in 1912, the Society provides education, adoptions, preventive veterinary care and spay/neuter services to save and improve the lives of dogs and cats throughout the Kansas City community. Variety is dedicated to improving the lives and mobility of physically and mentally challenged children. A volunteer-driven organization, Variety provides children with development disabilities the adaptive equipment and opportunities they need for activity and inclusion. Wayside Waifs is the largest pet adoption center in Kansas City, placing over 5,400 animals each year in loving homes. Established in 1944, Wayside does not euthanize adoptable animals, and is committed to finding homes for all adoptable pets, imposing no time limits for animals in its care.